How does aging affect our teeth? As we age, it is common for the gums to recede from around the teeth, exposing more of the root surfaces. (Have you even heard the expression “long in the tooth” when referring to an older person?) Anyway, when more of the tooth becomes exposed, it is possible to get new cavities on surfaces that were once covered by gums. The roots do not have protective enamel on them and are more prone to cavities and wear. In addition, many older people may be taking medications that have a side effect of a dry mouth. A dry mouth can lead to more cavities. Talk to Dr. Blazer about medications and dental health products that can help to prevent cavities. Do you sometimes feel rushed and unappreciated when you go to a dentist or physician? Do you wish that you could find a health care provider who would take the time to listen to your concerns and include you in the process of figuring out what’s best for your dental health and your budget? Be prepared to be wowed in Dr. Blazer’s office. Yes, she incorporates the latest technologies of digital xrays, intraoral photography, etc. into her practice. But more importantly, she has a “this is what I would recommend for you if you were my mom” kind of approach to her conversations with her patients. Older patients remember what dentistry used to be like when they were younger. They come in expecting pain and discomfort. Imagine their surprise when they’re offered a movie selection for that day’s visit! A pillow for a stiff neck! A blanket to keep warm! Just a few of the touches that make our office so special! 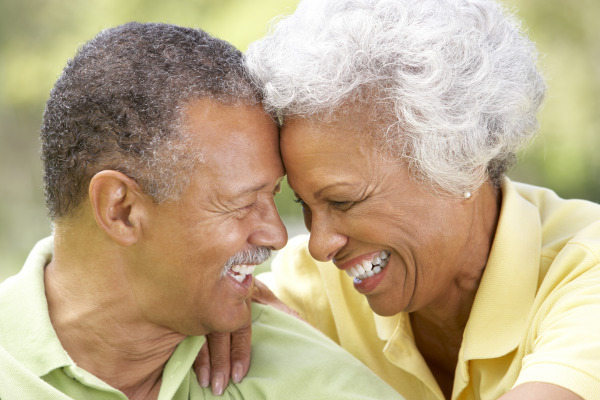 Restorative care is an important dental service for seniors’ teeth. As restorations age and experience wear, bite integrity can be jeopardized. Dr. Blazer aims to maintain quality of life for her patients and works to preserve oral health by offering conservative options to replace or restore a severely damaged tooth. If you're a senior patient looking for a Scottsdale dentist who can provide you with expert care, contact our office. Dr. Marcia Blazer is here to help, with good advice and affordable dental treatments that are tailored to your specific needs. View our special that we offer our senior citizen patients! Well, I would give 6 stars if I could. I’m not so fond of having dental work done (who is, really?) because it can be uncomfortable, but my latest appointment for crown work was about as comfortable as I can be without being on my couch at home — I’ve had plenty of work done in the past, some of it under heavy sedation, but Dr. Blazer and the team really made this visit easy for me. Not only would I recommend Dr. Blazer, but I already have to 5 of my close friends and colleagues (and I’m not done!). Dr. Blazer and her staff are very caring people. To have a doctor call you in the evening to see how you are doing is almost unhear of and I appreciated her concern.